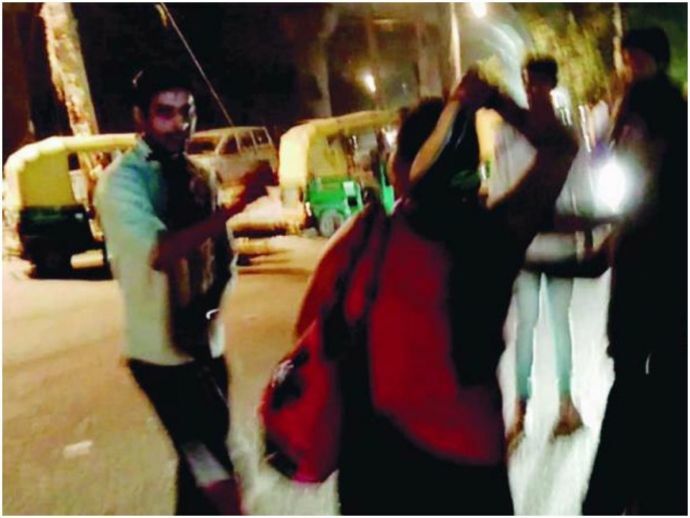 This Video Of A Gurgaon Women Smacking A Drunk Molester Is Going Viral! The incident is said to have taken place at 1 am on Saturday and no action has been taken by the police, as of now. Weeks after the heart-wrenching incident which shook the entire nation where a woman was gang-raped and her eight-month-old daughter killed by rapists in Gurgaon, another case of molestation came to light. But thankfully, the sin was averted. A video of the incident where five-six women are seen hurling slippers at a man, who allegedly tried to molest them near the IT hub is going viral on social media.